Do we have a tutorial on how to plot a graph in Excel? Yes we do. Are you able to help me design a company brochure? Yes we can. I need to upgrade from Excel to a Microsoft Access database how is this possible? Please give us a call. We use an office in Rackheath to conduct training courses in Access, InDesign, Illustrator or even Photoshop. If you or the company you work for have need to improve your software skills please contact us and discuss how we can fill your companies requirements. 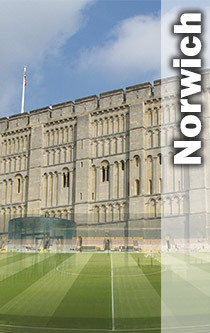 From Cloisters to the Royal Arcade, we can bring along laptops to train you wherever in Norwich you desire. "Good fun easy to learn and great trainer very friendly and approachable"